Which facial skin care products work the best? 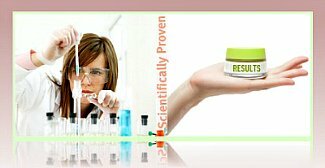 Skin Care e-Learning and Resource Center has researched a wide range of anti-aging skin care treatments that provide the rejuvenation options that effectively address a multitude of anti-aging skin care concerns. Get the best results for your money! Skin rejuvenation products are very effective in treating a variety of aging skin conditions whether it be generalized sun damaged skin, fine lines, wrinkles, brown spots, broken capillaries, spider veins, sagging skin, dark under eye circles or a combination of aging skin care issues. After conducting an extensive price comparison, we've compiled a listing of the best facial skin care products for you that are formulated with most effective clinically proven anti-aging ingredients so you can be assured that you are getting the best treatments for the money. Why spend more than you have to? Many facial skin care products are readily available for under $10.00 right on the shelves of your local discount retail store. There is absolutely no need to spend hundreds of needless dollars! The bargain hunting has already been done for you. For each of the active anti-aging ingredients, this Buyer's Guide provides comprehensive information on each anti-aging ingredient and recommendations where quality facial skin care products can be purchased at the best possible price. 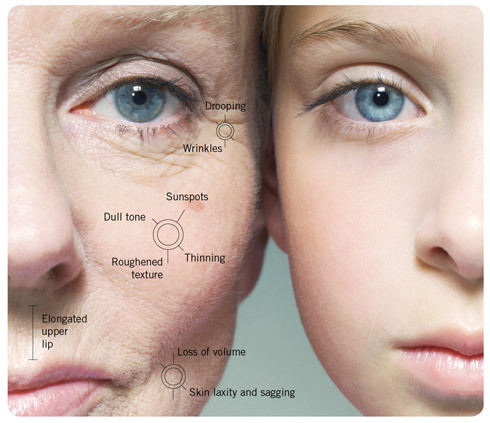 Start by reviewing the Facial Rejuvenation Fact Sheet on the effective active Anti-Aging Treatment Ingredients then view all Anti-Aging Skin Care Treatments categorized by condition or by active ingredient. While there are a mind-boggling number of active anti-aging ingredients, the rejuvenation ingredients listed below identify those that are clinically proven and widely regarded as the most effective in rejuvenating aging skin. To get the best results. . .
That are formulated with potent concentrations of clinically proven active anti-aging ingredients that will specifically target your aging skin symptoms. Use the Best Facial Skin Care Products. . .
Clinically proven to firm skin while reducing the appearance of deep wrinkles and fine lines. Considered to be the over-the-counter alternative to Botox. Clinically proven as a highly effective exfoliant; especially for acne prone and oily skin types. Clinically proven to effective firm, tone and plump the skin although formulations need to be very specific. Promising preliminary research indicates that copper peptides are a powerful antioxidant that stimulates skin repair, reduces fine lines and wrinkles as well as firms and tones the skin. New tri-peptide formula that clinical studies demonstrate effectively help reduce under eye puffiness and diminish eye bags. Research demonstrates that Facial Masks are wonderfully effective in not only deeply hydrating the skin but providing the essential nutrients that stimulate cell renewal. As studies emerge on the topical effectsof green tea on the skin, results demonstrate that the antioxidant qualities of green tea is quite promising. Clinically proven to stimulates skin repair, plumps, firms and improve skin elasticity. Clinically proven effective as a bleaching agent for age and dark spots. Typically used in concert with a Vitamin A treatment. Preliminary studies indicate significant promise as a gentler alternative to retinol for diminishing fine lines and wrinkles, improving skin tone, increasing moisture retention and retarding cell aging. Used as a specialized delivery system to increase the ability of critical nutrients to reach the cellular level in order to provide direct nourishment to promote repair at the cellular level. A highly effective exfoliating treatment in promoting cell turnover as a critical component of the rejuvenation of aging skin. Research demonstrates very promising results in stimulating collagen production at the DNA cellular level. An effective antioxidant that has significant potential in accelerating skin repair by reversing the damage caused by increased free radical activity. A highly effective rejuvenation strategy typically using a natural acid to promote exfoliation and stimulate skin cell regeneration. Preliminary research demonstrates that Spin Trap is an up and coming "intelligent" antioxidant that has significant nutrient properties to improve overall skin health. Preliminary research indicates the use of plant-based and scientifically engineered stem cell therapy has amazing potential to promote rapid healing and restore skin health. Clinically proven as highly effective stimulating cell regeneration, minimizing fine lines and wrinkles, diminishing age spots and improving overall skin tone. Simply a MUST HAVE for every rejuvenation regime. Clinically proven, in its stable versions, as a powerful antioxidant that provides significant nutrition at the cellular level to stimulate skin repair and rejuvenation. An effective targeted treatment for broken capillaries and bruising while improving the overall appearance of aging skin; an especially effective treatment for reducing dark under eye circles. To get the best results select facial rejuvenation treatments by the clinically proven ingredient that targets your specific aging skin symptoms and be sure that the best skin products that are formulated with an effective concentration of active anti-aging ingredients.